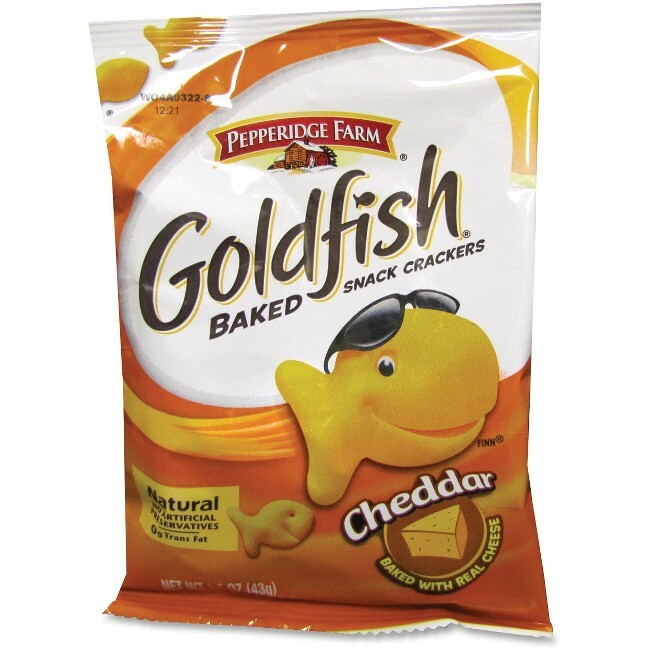 Goldfish-shaped crackers are a delicious and fun treat. Cheddar-flavored baked crackers make the perfect snack in the breakroom or on the go. 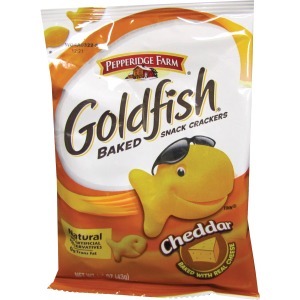 Goldfish Crackers will disappear fast in this great single-serve bag. Crackers are natural with no artificial preservatives and baked with zero grams trans fat.